put in the ginger slices while it is still boiling. put into sterilized jars and keep in the fridge. 1. Wash the young ginger and rub off skin. 2. 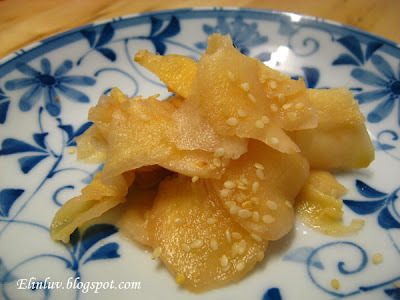 Slice the ginger thinly and salt them. Leave salted ginger slices in a bowl for one hour. 3. Dry the ginger slices with paper towels . 4. Mix rice vinegar and sugar in a pan and bring to a boil. 5. 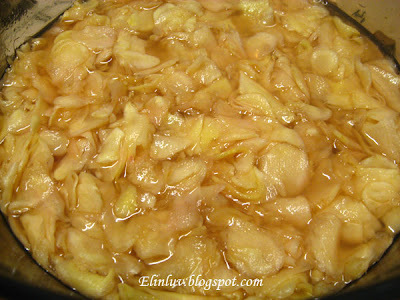 Add the ginger slices to the mixture of vinegar and sugar . Off the fire and let the vinegar and sugar infused into the ginger slices. 6. Cool them. 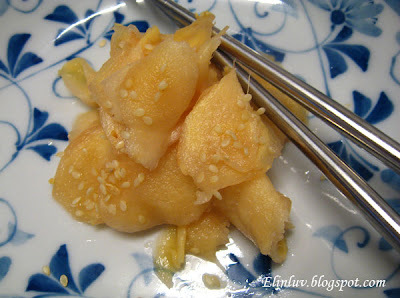 Pickled ginger changes its color to light pink. Put them in sterilized jars/bottles. Cover the jars/containers and store in the fridge. Wow! 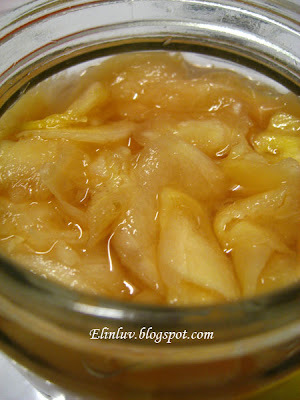 You made your own pickled ginger? It looks great and actually seems really easy. I may have to try this myself . . .